Speak to the HR or Marketing department of most companies and they will tell you the importance they place on good internal communications. Every organisation values how it speaks to its own staff, and trumpets the methods it uses to give people a voice. Yet despite these best of intentions, many companies are still struggling with the practical steps of good internal communications, and are getting the basics wrong. Many people we speak to still talk of floods of emails from HR, documents pinging around with confusing and ever changing file names, and a generally ‘lo-fi’ approach. In this blog post we will look at five ways to improve internal communications, using simple techniques like harnessing the power of an existing Intranet or tweaking existing IT solutions. Email is probably the most overused comms tool in the world today. This is especially true in business, where it is all too easy to fire off a quick email. Internal comms professionals are often guilty in this respect, with many using email to distribute everything from details of the next office social to updates to working hours and conditions. A good first step to improving internal comms is to stop, take a step back, and acknowledge an over reliance on email. It might even be useful to log, over a period of a few weeks, how many emails are sent out in the name of ‘internal comms’. Many will be surprised. Getting people together and actually talking to them. Emails are often sent in companies where it is just as easy to get people together in a room. A personal touch can do wonders in many situations. Larger companies, or messages with a wider audience, might want to consider the new breed of enterprise social tools. These are often more accepted by end users, and allow for a greater degree of feedback and conversation. If emails are absolutely necessary then try to group them together in some sort of newsletter, send less of them, target them better and include a searchable archive on an Intranet. Most companies have an Intranet of some sort, often running a version of Microsoft SharePoint. This is an extremely powerful tool, with a host of useful comms features like Announcements, Document management and Workflow tools. Those with a little experience can even create dedicated sites, with a raft of rich content targeted at specific users. Yet more often than not the SharePoint Intranet is underused and ignored by those that could get the most out of it. It sits in one corner, while internal comms managers continue to send out emails or distribute updates via other systems. Build a dedicated ‘Internal Comms’ site or destination on the Intranet. Use it as the central location for all messages, documents and information that need to go out to staff. SharePoint Announcements are a great way to publish news stories, and users can even sign up for alerts. The various document management features available allow you to add files that users need to read or download. SharePoint even has a wealth of social features, to support more informal ad hoc discussions. Subscribe all staff to the site, set-up the right kind of access for people, and use alerts where they are helpful. But let everyone know that this is the single channel that internal comms will use from now on. 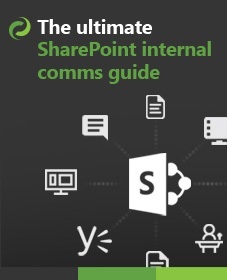 The Ultimate SharePoint Internal Communications Guide!! ​Discover how to implement a social strategy in your company using SharePoint. Building a central channel is a great step, but the next challenge is to ensure people actually read and acknowledge messages. Often internal communications need to be formally read and signed off. Things like new employment contracts, building regulations, or all manner of HR directives - these are the sorts of internal communications that require a confirmation that staff have read them. Our own DocRead is a powerful tool that extends a SharePoint Intranet, supporting internal comms. It gives users a means to knowledge and sign off that they have read a document, policy or message. 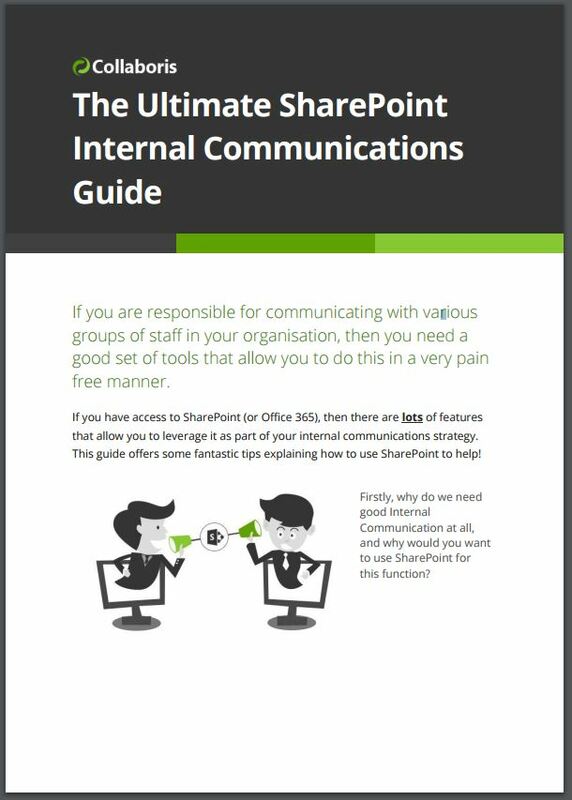 If you are interested in finding out how DocRead can help with your internal communications strategy, have a read of this : 'Streamlining Internal Communications with DocRead & SharePoint'. 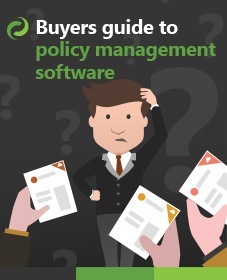 Employees can digitally acknowledge policies and procedures using predefined deadlines. The ‘centralised’ approach discussed above is supported, and DocRead will alert users to check back in when new material requires their attention. DocRead also allows for full auditing of ‘Who’, ‘What’ and ‘When’. DocRead currently supports all SharePoint document libraries, and this will soon be extended to any SharePoint list item - making it a flexible solution for any type of internal comms message. The sister product of DocRead, DocSurvey, allows internal comms professionals to test users understanding of the messages they distribute. Using simple quizzes and surveys, DocSurvey allows user responses to be easily collected and the results analysed. DocSurvey is a great way to engage staff in internal comms, encouraging feedback and gathering thoughts and opinions. Surveys can include HTML, video, flash and images - meaning they can easily become a rich engaging means to take internal comms understanding to the next level. The temptation with IT projects, especially those with an enterprise focus, is to go big and make sweeping changes. Building a brand new Intranet is a classic example, one that will replace everything that has gone before it, and is launched with a ‘big bang’ approach. The end result is often disappointing. The new system fails to cope with demand, doesn’t do everything the old one did, and often doesn’t even include the content that people reply on. A much better approach is to go small. A project to improve internal communications is the perfect test bed. Using the advice above, a good approach is to build a central ‘Comms’ site and pilot it with a small number of users. Gradually move teams across, reducing the number of emails they receive in turn. Ask for feedback, and iterate and improve the new approaches as you go. Tempting as it is to make sweeping changes, often we find the most effective internal communications come from companies that have gradually improved what they do, and brought users with them on a slower paced journey.